And the third is a Heather Ross quilt. I am hoping these will be family heirlooms when finished. It's a shame that these are no longer in print, but at least I will always have them around in something beautiful. I am still needing 1 piece to finish up the heather Ross quilt (day at the beach) , hopefully I can locate it soon. Hope everyone had a wonderful fourth of July. 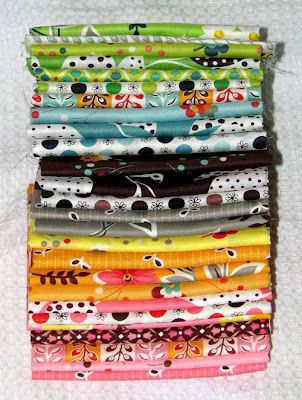 If you would like to see others participating in Sunday Stash go here to see all the lovely fabrics. Oh, yummy, yummy, and triple yummy!!!! Lots of sewing ahead for you. I love the Flea Market set. Oh, My! Dying to see the finished quilts. Yes, family heirlooms for sure. What a change from the '30s. Beautiful fabrics. I made a cathedral windows runner with some of the flea market fancy ones. I have decided that I can't read your blog anymore on Sunday. 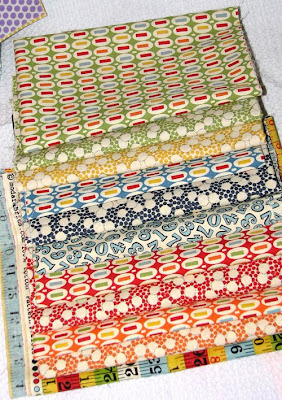 I want every single one of your fabrics and I can't get them (unless you give them to me of course...) Jealous, coveting... not good. You are one lucky stashtastic lady!